First Lady Tarasha Williams was born on July 16 in Clanton, Alabama. She was born to a wonderful young woman named Margie Nelson. Being that her mother was a senior in high school at the time of her birth, she had two great grandparents that legally adopted her to allow her mother to go to college; the late Elijah Goodwin and Marzell Goodwin. Tarasha accepted God into her life at an early age and was a member of the Oak Grove Baptist Church in Plantersville, Alabama, where her grandfather served as the chairman of the Deacon board, and she served as Sunday School Teacher and piano player for several years. Tarasha attended elementary and high school at Maplesville High School in Alabama. After graduating, she attended The University of Alabama where she received a degree in Special Education and later obtained two Masters Degrees; Health Studies and School Counseling. She has a love for children and and has taught/counseled in school systems for the past twenty years in Alabama, Georgia, and currently Louisiana. Tarasha attributes her determination and skills as a committed Godly woman, to her role models: the only father-figure in her childhood life, her Grandfather, the late Elijah Goodwin; her wonderful mother, Margie Nelson and father, Arthur Nelson; and her sweet, God-fearing Grandmother, Marzell Goodwin. She has one biological sister (Jasmyne) and through union, four sisters and two brothers. Tarasha has gone through many trials and heartaches with the help of God as she raised her two biological children, Makayla & Chloe and a set of adopted twins that currently reside with their biological mother in Georgia, Jaylon & Jazlyn. In October 2012, after all that she went through in her life, God smiled on the work that Tarasha had done and allowed her to finally live her fairytale life. Tarasha was united in marriage to her God-sent husband, Kevin M.A. 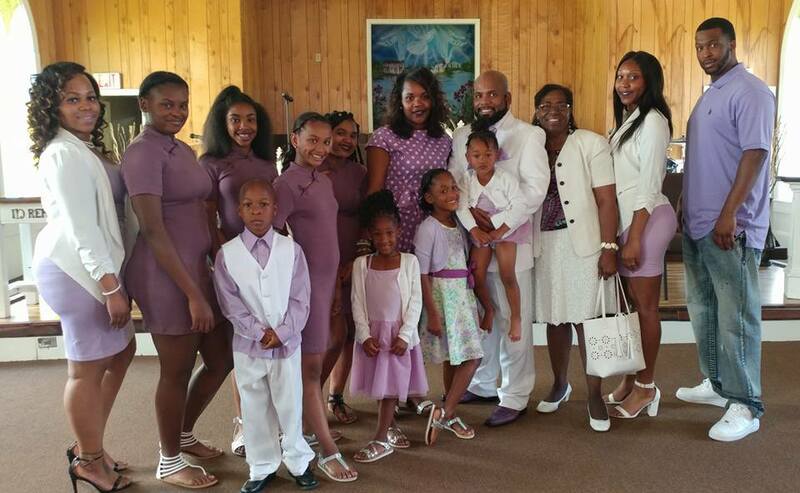 Williams, Sr, and through this union, she not only obtained a wonderful husband, but she was also blessed with a home filled with seven beautiful children; Kyle, Marcy, Kevin (KJ), Kniamya, Kya, Kristan and Kenzie.